Department of Chemistry 1, SRK University, Bhopal - 462047, Madhya Pradesh, India. Macleods Pharmaceuticals Limited 2, Mumbai - 400093, Maharashtra, India. ABSTRACT: Analytical scientists of the pharmaceutical industry aimed at developing robust HPLC methods for analysis of generic drug products. This paper deals with HPLC method of analysis for estimation of % drug release of Ledipasvir and Sofosbuvir in Ledipasvir and Sofosbuvir tablets used for the treatment of chronic hepatitis C virus (HCV) infection. For analysis of dual combination drug product, HPLC method uses ‘Zorbax Eclipse Plus C18 100 × 4.6 mm, 3.5 µm’ HPLC column, a combination of buffer pH 3.0 and acetonitrile as mobile phase in gradient mode with UV detection at 260 nm. The method was validated and found to be precise, robust, accurate and linear (in range 9.05 to 54.3 µg/mL and 2.045 to 12.27 µg/mL of Sofosbuvir and Ledipasvir respectively). The method was also found to be specific for blank and placebo solutions. This ensures suitability of the method for simultaneous quantitative determination of % drug release of Ledipasvir and Sofosbuvir in a pharmaceutical formulation. In the pharmaceutical industry, this method can be used for routine as well as stability samples analysis in formulation product. INTRODUCTION: Hepatitis C is caused by a virus named hepatitis C virus or HCV that infects the liver. Since, HCV infection usually shows no symptom or very mild symptoms during the early stages, many people don’t know they have it until liver damage shows up. Some people who get HCV have it for a short time get better on their own. But most people go on to develop chronic hepatitis C 1. Ledipasvir is an inhibitor of the hepatitis C virus (HCV) NS5A protein required for viral RNA replication and assembly of HCV virions. Although its exact mechanism of action is unknown, it is postulated to prevent hyperphosphorylation of NS5A which is required for viral production. Ledipasvir is available as a fixed-dose drug combination product with Sofosbuvir used for the treatment of chronic hepatitis C. Ledipasvir, and Sofosbuvir are direct-acting antiviral agents indicated for the treatment of HCV genotype 1 with or without cirrhosis. Before the development of this drug the main treatment available was weekly injections of pegylated interferon with weight based ribavirin, which achieved a sustained virological response (SVR) but had multiple unpleasant side effects. When combined Ledipasvir and Sofosbuvir have been shown to have better SVR after 12 weeks of treatment. Its use has also proven successful in the treatment of patients co-infected with HIV 2. Findings of literature survey show that few methods are available for estimation of Ledipasvir and Sofosbuvir content by HPLC in pharmaceutical formulation 3, 4, 5, 11, 12, few researchers also provided estimation methods by LC and using UV spectrophotometer 6, 7, 10. One research paper provides HPLC method for estimation of dissolution in phosphate buffer pH 6.8. 8 But none of the methods provide a method of estimation in 1.5% polysorbate 80 in 10 mM potassium phosphate buffer with 0.0075 mg/mL butylated hydroxytoluene (BHT), pH 6.0 which is the dissolution medium proposed by USFDA. Also, there is no pharmacopoeial reference of a suitable HPLC method to estimate % drug release of Ledipasvir and Sofosbuvir in the presence of each other in the proposed dual combination formulation. The proposed method was developed to cater to this need of the pharmaceutical industry. In the present study, we propose a rapid and robust HPLC method for simultaneous estimation of Ledipasvir Methyl N-[(2S)-1 -[(6S) -6 -[5-[9, 9-difluoro-7 -[2 -[(1S, 2S, 4R)-3 -[(2S)-2-(methoxy carbonylamino)-3 -methylbutanoyl]-3 -azabicyclo [2.2.1]heptan-2-yl] 3H-benzimidazol-5-yl] fluoren-2-yl]-1H-imidazol-2-yl]-5 –azaspiro [2.4] heptan-5-yl]-3 -methyl-1 -oxobutan-2-yl] carbamate and Sofosbuvir Methyl N- [(2S)-1 -[(6S)-6 -[5- [9, 9-difluoro- 7- [2- [(1S, 2S, 4R)-3 -[(2S)-2-(methoxy carbonylamino)-3 -methylbutanoyl]-3 -azabicyclo [2.2.1] heptan-2 -yl]-3 H-benzimidazole-5 -yl] fluoren-2 -yl] -1H-imidazole-2 -yl]-5 -azaspiro [2.4] heptan-5 -yl] -3-methyl -1-oxobutan-2-yl] carbamate;propane-2-yl(2S)-2-[[[(2R,3R,4R,5R)-5-(2, 4-dioxopyrimidin-1-yl]-4 -fluoro-3-hydroxy-4-methyloxolan-2-yl] methoxy-phenoxyphosphoryl] amino] propanoate. Chemical structures are presented in Fig. 1. Reagents and Materials: HPLC method was developed by using analytical grade reagents of high purity. Potassium dihydrogen orthophosphate, polysorbate 80 (tween 80), butylated hydroxyl toluene, methanol were used off for standard solution preparation. All these reagents were of Merck make. Triethylamine (Merck), orthophosphoric acid (Rankem) and acetonitrile (Merck) were used for the preparation of the mobile phase. HPLC grade Milli-Q water was used for all solution preparations. Working standards of Ledipasvir and Sofosbuvir were provided by Macleods Pharmaceuticals Limited, Mumbai, India. Determination of Wavelength Maximum: Solutions of Ledipasvir and Sofosbuvir were prepared in methanol, and the absorption spectrum was obtained in the UV range using UV-Vis Spectrophotometer (Make). λmax was determined from the respective UV absorption spectrum of the two drugs. Sofosbuvir and Ledipasvir show λ max at about 205 nm, 260 nm, and 226 nm, 332 nm respectively. These drugs show two different maxima henceforth isosbestic point 260 nm taken as maxima for both drugs Fig. 2. Chromatographic System and Parameters: Development study was performed on Shimadzu HPLC a quaternary gradient system, consisting of UV-Visible and photodiode array detector. Zorbax Eclipse Plus 100 × 4.6 mm, 3.5 µm (Agilent, USA) HPLC column was used for chromatographic separation. Buffer pH 3.0 and acetonitrile were used as mobile phase using the gradient time program. The buffer was composed of 0.1% triethylamine solution with pH adjusted to 3.0 using ortho-phosphoric acid. The flow rate was 1.0 mL/min, and detection was carried out at 260 nm based on their wavelength maxima as per UV spectrum. Lab-solutions software was used for data collection. Standard Preparation: About 20 mg of Ledipasvir and 90 mg of Sofosbuvir was accurately weighed and dissolved in about 150 ml of methanol. This solution was allowed to equilibrate to room temperature, diluted to volume with methanol and mixed. Further, 5 ml of this solution was diluted to 50 ml with dissolution medium and mixed. Sample Preparation: 900 ml of dissolution medium was poured in each dissolution vessel. Sufficient time was allowed for the dissolution medium to equilibrate at 37 °C ± 0.5 °C. The speed of the rotating paddle was adjusted to 75 rpm. One tablet was placed in each vessel. The apparatus was started. After dissolution, 10 ml aliquot was withdrawn from a zone midway between the surface of the dissolution medium and the top of the rotating paddle and filtered through 25 mm Whatman GF/C filter, discarding first 3 ml of the filtrate. Further 5 ml of this solution was diluted to 50 ml with dissolution media. Selection of Dissolution Medium: Dissolution medium was selected as 1.5% polysorbate 80 in 10 mM potassium phosphate buffer with 0.0075 mg/mL butylated hydroxytoluene (BHT), pH 6.0 based on USFDA recommendation for Ledipasvir and Sofosbuvir tablets 9. Selection of Mobile Phase: As Ledipasvir and Sofosbuvir differ in acidity, a low pH mobile phase was evaluated to get the desired separation of the peaks. Considering pH range of HPLC column, pH 3.0 was evaluated and found suitable for separation of both the active ingredients. Selection of HPLC Column: Few nonpolar phases were evaluated to separate Ledipasvir and Sofosbuvir and finally Zorbax Eclipse Plus C18 100 × 4.6 mm, 3.5 µm was selected as a column of choice for method development. Selection of HPLC Pump Mode: Ledipasvir and Sofosbuvir significantly differ regarding polarity. Isocratic mode would end up with longer chromatographic run time. Hence, gradient mode was chosen and optimized to elute both the active ingredients within a short period. Table 1 provides the gradient time program used for the study. Selection of Diluent: Ledipasvir and Sofosbuvir were found to be stable in methanol. Hence, methanol was the solvent of choice as diluent. Specificity: Specificity for blank, placebo, Ledipasvir standard solution and Sofosbuvir standard solution was evaluated to ensure that there is no interference at the peaks of interest. Solution Stability: Solution stability was evaluated by storing sample solution at 25°C and injecting after regular interval till 24 h.
Filter Compatibility: Sample solution was prepared by spiking Ledipasvir and Sofosbuvir into placebo powder equivalent to one dosage unit. At the filtration stage, the solution was filtered through Whatman GF/C filter (25 mm). First 3.0 ml of filtrate was discarded. The filtrate was collected for further analysis. The unfiltered sample solution was centrifuged. The result of both the filtered sample solution and centrifuged sample solution were compared. Filter Saturation: Sample solution was as described above. At the filtration stage, three filtrates were collected using three separate 25 mm Whatman GF/C filters by discarding 1 ml, 2 ml and 3 ml of filtrate respectively. The filtrates were collected for further analysis. Accuracy: Ledipasvir and Sofosbuvir accuracy study were performed at 50% to 120% of the strong concentration of individual active ingredient. Recovery solutions were prepared by spiking Ledipasvir and Sofosbuvir to placebo powder equivalent to one dosage unit in the dissolution medium. Linearity: A series of solutions were prepared by quantitative dilutions of the stock solution of standard solutions to obtain solutions at 20% to 120% of the working concentration of individual active ingredient. Precision: Precision test was carried out by spiking Ledipasvir and Sofosbuvir API to placebo powder equivalent to one dosage unit to obtain solutions at 100% level of target concentration. Six sample preparations were prepared and injected. Intermediate Precision: For intermediate precision, the analysis was carried out on a different day, using a different HPLC and different dissolution apparatus. The mean and relative standard deviation of the results was calculated. Robustness: The dissolution test was carried out as described in the methodology after making the following alterations in the dissolution conditions. Changing the RPM of the dissolution medium (73 and 77). Changing the pH of the dissolution medium (pH 5.8 and pH 6.2). Specificity: Retention time obtained for Blank, placebo and standard solution are tabulated in Table 2. As shown in Fig. 3, there is no interference due to blank and placebo at retention times of Ledipasvir and Sofosbuvir peaks observed in standard solution. Solution Stability: The absolute difference between the % release of sample solution when stored for 24 h at 25 °C and % release of initial was within the acceptance criteria of not more than 2 Table 3 and Table 4. Filter Compatibility: The absolute difference between the results obtained for a filtered solution and the centrifuged solution is tabulated in Table 5. Since the % difference between the results obtained for filtered sample solution and centrifuged sample solution was within acceptance criteria of NMT 2, Whatman GF/C (25 mm) filter is considered as suitable for sample filtration. Filter Saturation: Each of the filtered solutions was analyzed as and % difference between the results obtained for consecutive filtered solutions was calculated Table 6. Since the % difference between the results obtained for two consecutive filtered solutions was within acceptance criteria of NMT 2, the volume of 3 ml was considered as sufficient to saturate the filter. Accuracy: Results for recovery study are tabulated in Table 7. Linearity: Each of diluted solution was injected, and the peak areas were recorded. Slope, Y-intercept and correlation coefficient of the regression line were calculated. The results obtained were tabulated in Table 8. Linearity plot is shown in Fig. 4. Precision: The mean and relative standard deviation of the precision results was calculated and results obtained for % release are tabulated in Table 9. Intermediate Precision: The % release results obtained for intermediate precision are tabulated in Table 10. As tabulated in Table 11, the absolute difference between the mean % release results obtained in precision and intermediate precision is within the acceptance criteria of not more than 5.0. Hence, the method for estimation of % release is precise. Robustness: The results obtained for the robustness study are tabulated in Table 12 and 13. Comparative results for Robustness are tabulated in Table 14. The absolute difference in the results obtained under normal condition and robustness study of change in dissolution medium pH and RPM was within the acceptance criteria of NMT 10. Hence, the method for simultaneous estimation of Sofosbuvir and Ledipasvir is robust. CONCLUSION: A simple and efficient method for simultaneous estimation of % drug release of Ledipasvir and Sofosbuvir in two drug combination product was developed and validated for specificity, accuracy, linearity, precision, and robustness ensuring suitability of the method for quantitative analysis. The results indicated that this method is suitable for estimation of % release of Ledipasvir and % release of Sofosbuvir in a pharmaceutical formulation. 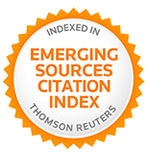 ACKNOWLEDGEMENT: The authors express sincere gratitude to the Research & Development Center of Macleods Pharmaceuticals Limited, Mumbai, India, for permitting to publish this research work. The first author is also thankful to his colleagues for their consistent support to carry out this research. Rote AP, Alhat J and Kulkarni AA: Development and validation of RP-HPLC method for the simultaneous estimation of Ledipasvir and Sofosbuvir in bulk and pharmaceutical dosage form. Int J Pharm Sci Drug Res 2017; 9(6): 291-298. Nagaraju T, Vardhan SVM Kumar DR and Ramachandran D: A New RP-HPLC method for the simultaneous assay of Sofosbuvir and Ledipasvir in the combined dosage form. Int Journal of Chem Tech Research 2017; 10(7): 761-768. Rao BS, Reddy MV, and Rao BS: Simultaneous analysis of Ledipasvir and Sofosbuvir in bulk and tablet dosage form by a stability indicating High-Performance Liquid Chromatographic Method. Global Journal for Research Analysis 2017; 6(4): 505-509. Rai SY, Prajapati Y and Patni P: Development and validation of RP-HPLC and UV spectroscopy methods for simultaneous estimation of Sofosbuvir and Ledipasvir in their combined tablet dosage form. Pharma Science Monitor 2017; 8(2): 369-368. 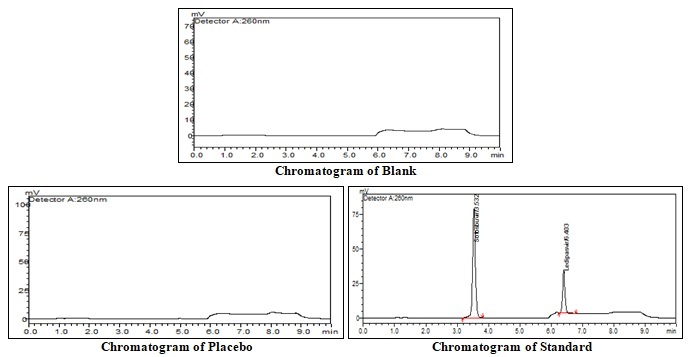 Trivedi RN, Tandel JN, Patel RC and Shah SK: Chemometrically assisted RP-HPLC and spectroscopic method development for simultaneous multi-component analysis of Ledipasvir and Sofosbuvir in pure and pharmaceutical formulation. Der Pharmacia Lettre 2018; 10(3): 62-75. Hassouna MEM, Abdelrahman MM and Mohamed MA: Assay and dissolution methods development and validation for simultaneous determination of Sofosbuvir and Ledipasvir by RP-HPLC method in tablet dosage forms. J Forensic Sci & Criminal Inv 2017; 1(3): 555-562. Hassouna MEM and Mohamed MA: Novel and facile spectrophotometric techniques for the determination of Sofosbuvir and Ledipasvir in their tablet dosage form. Journal of analytical & Pharmaceutical Research; Forensic Sci & Criminal Inves 2018; 7(2): 92-99. 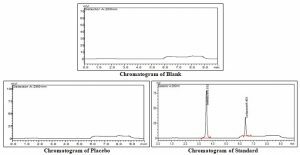 Kalpana N, Shanmukha KJV and Dittakavi R: Analytical method development and validation for the simultaneous estimation of Sofosbuvir and Velpatasvir drug product by Reverse-Phase High-Performance Liquid Chromatography method. Asian Journal of Pharmaceutical and Clinical Research 2018; 11(2): 164. Zaman B, Siddique F and Hassan W: RP-HPLC method for simultaneous determination of Sofosbuvir and Ledipasvir in the tablet dosage form and its application to in-vitro dissolution studies. Chromatographia an International Journal for Separation Science 2016; 79(23-24):1605-1613. Prasad R, Bhatt S and Singh K: HPLC method for simultaneous estimation of drug release of Ledipasvir and Sofosbuvir in Ledipasvir and Sofosbuvir tablets. 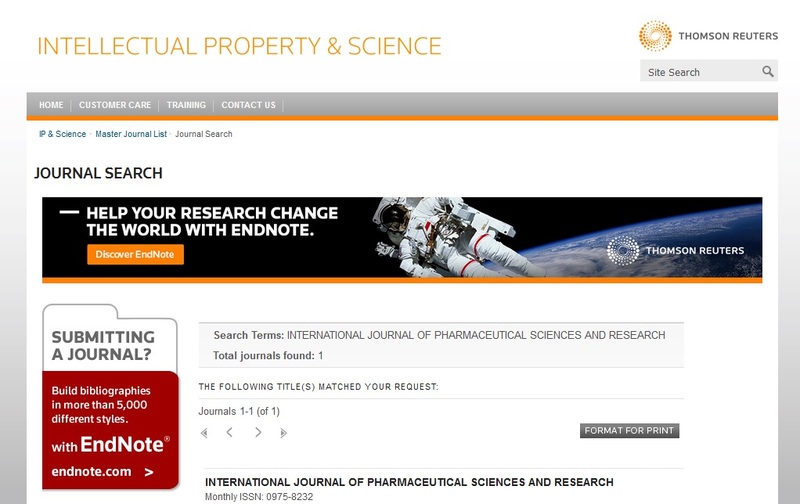 Int J Pharm Sci & Res 2019; 10(2): 634-41. doi: 10.13040/IJPSR.0975-8232.10(2).634-41. Authors Address: Department of Chemistry, SRK University, Bhopal, Madhya Pradesh, India.